Palate: Powerful yet balanced, blackcurrant leaf, pleasant tang of bitterness. Beautifully long finish. 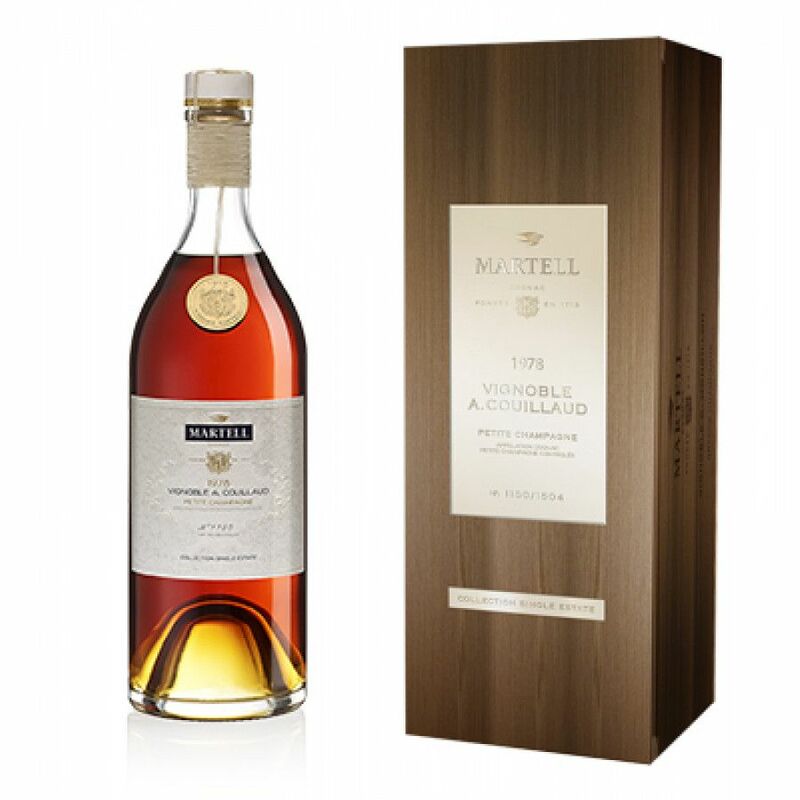 The Martell Single Estate Collection Vignoble A. Couillaud 1978 Vintage Cognac is going to be-come a legend amongst Cognac connoisseurs. A singularly outstanding offering from Martell, if you want to discover all that is great from the regions of Petite Champagne, then this eau-de-vie will surely take some beating. Powerful yet round, it’s hard to believe that the wonderfully aromatic nose could possible be out-shone by any other of your senses. And then you taste it… This is a Cognac that just keeps on giving through out the whole sensory journey. It also delights with an exceptional length of finish. A limited edition Cognac that, should you own it, would likely become the pride of your collection.